When we think of learning environments, we think of books, lectures, databases perhaps. But in my recent research, I discovered that the interactions we have with people in our networks play an even more important role in what we learn and how we turn information into actionable knowledge. All of the people in my study were learning how to be lecturers and how to progress their careers after spending considerable amounts of time as practitioners in a variety of industries such as business and marketing, health, psychology, education, environmental sciences and entertainment. I focused on exploring what informed their learning and professional development and how it informed their learning. seeking or attracting new opportunities for expansion using a range of social media. Each knowledge type refers to knowledge co-created within relationships: knowledge from the new lecturer (knowledge of self) and knowledge from their developers (knowledge of others). I also found that, for these new university lecturers, what they gleaned from informal interactions is key to meaningful learning experiences. All of the above forms of knowledge are created and used during the key learning experiences within the informal sphere of learning. The informal sphere is where trust is built and where people can ‘be themselves’ and choose to learn what matters most to them. Contrastingly, information is discussed as useful for learning but is experienced as secondary to knowledge. My participants view the knowledge types as listed above as more important to their learning than information types listed below. Although they are both useful for learning, the lecturers first ‘relate’ to information types–they select information that they can relate to or they have something in common with–that becomes knowledge stored in the mind which strongly informs their learning. From the data, I have identified the following categories of information resources used for learning experiences. Once a person interacts with these forms of information by relating to them personally, the selected information turns into knowledge inside a person’s head, to be used and re-used for learning experiences. Recognizing multiple layers of relationships by selecting communication modes, exploring personal dimensions, navigating across boundaries, balancing roles, and changing over time. My findings reflect the experiences of a group of people who are moving between different contexts, such as industry to academia or research. The conceptual model described above is a ‘knowledge ecosystem’ which could also have implications not only for UX practice in designing, learning, and professional development experiences (both online and offline) for user groups who transition between different worlds, but also possibly for building bridges between them. Some general implications for UX practice are below. At first glance, it seems that the current generation of UX practice is geared towards users’ experiences of information (texts, humans and tools) and also context (culture and environment), as in the case of service design, for example. A key question here could be: How do we create a user experience that facilitates tapping into the different forms of knowledge found within people’s heads? Thinking about people as users of knowledge rather than just users of information opens up a whole new terrain of potential design, thus moving from information user experience to knowledge user experience. At the heart of people’s user experience is the concept of the human relationship, the processes of informing our relationships through knowledge, and strengthening our social networks to achieve one’s life purpose. Relationships are not just between the interface of human-to-computer/website but also, more importantly for knowledge user experience, human-to-human interaction, whether that interaction occurs online or offline. Faye is a Researcher, Editor, Author and Educator in the areas of human information experience, informed learning and experience design. Over ten years, Faye has been supporting, developing and leading a variety of social research projects within the global higher education sector and collaborating with external clients from public and private sectors. 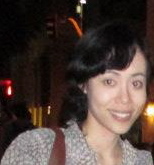 Faye recently completed a PhD in Information Ecology from Queensland University of Technology, Australia. She has presented her research at San Jose State University, California and has taught online classes in information management at Australian universities. Faye is currently Knowledge Ecology Strategist for Global Ethnographic, official open access journal of the social enterprise Organization for Intra-Cultural Development based in Japan, Australia and the USA. She is also Founding Editor/Director of the international magazine-journal XD: Experience Design Magazine. A great article. I will share it with my people.